I’d like to introduce you to Scott, Melissa, and their daughter Olivia. Scott and Melissa came to one of our centers four years ago. Completely overwhelmed with life and in a difficult financial situation, they felt ill-equipped to become parents. Abortion became a possible option. After visiting an abortion provider, both Melissa and Scott felt uneasy with that option. Together, they came to Life Centers. their minds were made up. In addition to the support Life Centers offered, Melissa remembers how important it was to her that Scott was present throughout the unplanned pregnancy. 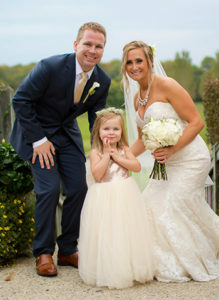 Scott and Melissa have been married since October of 2017. Their daughter, Olivia, is now 4 years old, and they just welcomed a new baby boy to their family in October. This is truly a success story for Life Centers and for you, our supporter. You helped make this happen. You help make stories like this happen each and every day.